Two First World War army camps at Seaford, East Sussex, were identified on 1940s and 1950s aerial photographs during the South Downs National Mapping Programme. Some of these remains still survive as earthworks including a series of training trenches. 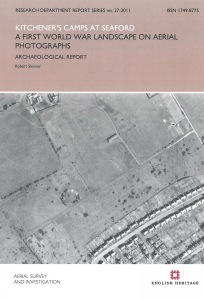 The main aim of this study was to interpret and map the archaeological remains of the camps, thus demonstrating that historic aerial photographs are an important source of information for First World War remains.